Tom Boellstorff (University of California, Irvine) and Donna Z. Davis (University of Oregon) are the principal investigators of a 3-year, National Science Foundation-funded research project titled “Virtual Worlds, Disability, and New Cultures of the Embodied Self.” Both digital ethnographers, they studied the various ways disabled persons experience embodiment and place in virtual worlds. Many Virtual Ability community members were participants in this research study. Tom Boellstorff, in the film Our Digital Selves. As the project draws to a close, I had an opportunity to interview Tom. Q- The National Science Foundation is not known for its interest in social virtual worlds. How did you manage to convince them to fund this project in Second Life? TB- People tend to think of the National Science Foundation as one entity, but it operates as separate directorates. This project is funded through Cultural Anthropology, not through the directorates that typically deal with computers and virtual reality. Cultural anthropologists are interested in how people socialize, in whatever venue, be it face to face or on the internet. In terms of the project seeming feasible, it may have helped that I was already a known entity because of my publications in the area of anthropology of virtual worlds. Q- Did you have to convince them that avatars are people? TB- Not too much, because we framed it more broadly in terms of social interaction online. People are online in various venues and the funders were interested in how people interact using the internet. If a person is using a virtual world to interact, they do so through an avatar. Q- Did you face the argument that you can’t consent an avatar? TB- It was not an issue for the IRB (Institutional Review Board) at my University. It’s becoming better understood that you can do online consent. Many researchers do that now. But there are still some IRBs that don’t understand virtual worlds. It becomes the responsibility of the researchers to educate their IRB members. Q- You have a personal interest in the area of disability studies. TB- Yes, in all research there’s always some element of personal motivation. In my original work in Second Life, I was comfortable with the computer technology and I was interested in the method, how to study culture in this medium. 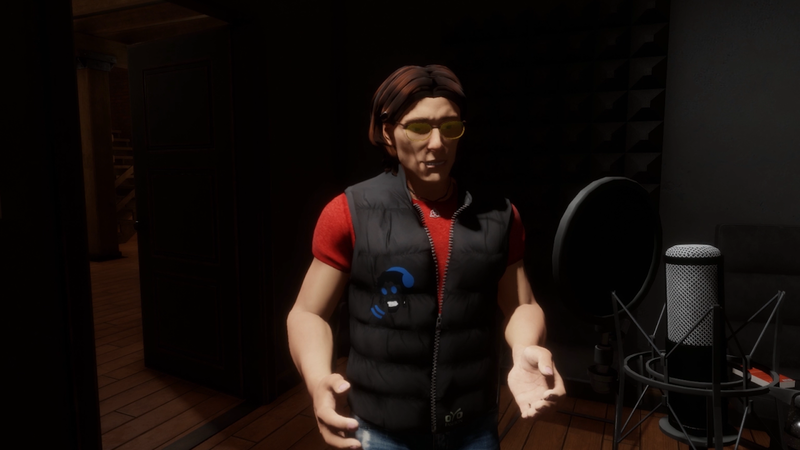 My primary motivation for this project was that early on in my time in Second Life I ran into many people with disabilities who were doing interesting things, including The Sojourner and Virtual Ability. I wrote just three pages in my book Coming of Age in Second Life focusing on the topic of disability, and I always wanted to do a follow-up study where I could delve more deeply into disability experience in Second Life. Tom as his Sansar avatar in the film Our Digital Selves. Q- Please say a little about how this project started. TB- Donna and I have been working together for about seven years. After the first couple of years we decided to work on getting funding for a collaborative project. It took us about a year to do the writing and application, and then this was a 3-year project. Q- How did you decide who to include as study subjects? TB- We had to define “disability,” and we kept that definition loose. We did not want to focus on a single disability. We were inspired by groups like Virtual Ability that work with people with a range of disabilities. We had to deal with multiple existing definitions, including some people who had a “medical condition” or “illness” or were “recovering from” a condition. We cast a wide net. Q- But not all disabilities have the same needs. How did you handle that? TB- Devva Kasnitz talks about “cross-impairment synergy.” This can result in accommodations like communicating in voice and text, like you do in Virtual Ability. Some people who can’t type need to use voice, while others who can’t hear need to use text. And as you know, the issue of disability diversity is not only present when you talk about different disabilities; it shows up even within a single disability. For instance, this issue comes up a lot in the autism community, with terms like “high-functioning” and “low-functioning.” Many people on the high-functioning end of the spectrum talk about neurodiversity as an alternate way to function in the world. Many on the low-functioning end, or their caregivers, see this as a problem they wish could be cured. Q- All of your study participants were high-functioning, weren’t they? TB- I guess it depends on what you mean by “functioning.” High or low doesn’t translate well between different disabilities, and there are personal, social, insurance, and governmental definitions to consider. Cognitively, all participants in this study had to be able to communicate, so in that sense they were high-functioning. Q- You seem to enjoy your research. TB- I have always had lots of good times with all my research. Susan Harding talks about studying the “repugnant other,” and that would be difficult for me. I’ve had beautiful conversations in lovely settings, making the film was magical, and I love doing presentations. I’ve met many people I’ve enjoyed talking with. So yes, it’s been fun. Q- You enjoyed making the film with Draxtor? TB- Drax is a lot of fun to work with. Donna and I gave him full editorial control. We were just interview subjects like the others in the film. He decided what to include and what to cut. Filmmaking is such hard work! I mean, when I am writing, if I get stuck I can push my deadline back. The filmmaker can’t do that. He has to stick to deadlines of availability of people and places. Drax is a good documentary filmmaker because he’s a good interviewer. Q- You had originally planned to include virtual reality as well as virtual worlds in your studies. What happened? TB- We had planned to buy VR equipment for our subjects, but the equipment like Oculus and the worlds like High Fidelity and Sansar were not ready in time and were not very accessible. This is a common problem in field work. You need to be flexible. Q- Were there any downsides to this research project? TB- We were lucky that we got approval to have an island for the project, which started off as one sim in size and then we got approval to add a second sim to the island after a year. I had never been responsible for a whole island before, and I definitely learned about the management side of that. It was nice to have a home base, a place where we could chat together and hang out. We gave some participants plots on the islands on which they could build, but it was never the intention that everyone involved in the research would be interested in having a plot of land. And not everyone used their land in the same way. Some participants were very active on their plots, others less so, which was fine with us. 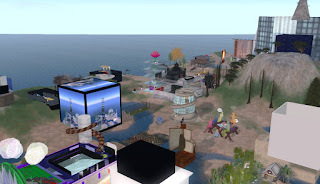 And of course, everyone involved did things in other places in Second Life, just not Ethnographia Island. So it would be a misconception to think that the island and the builds on it were the whole project. In addition, everyone knew from the beginning that when the project ended, the island would go away as well. Of course, even when we know this, it’s understandable that some folks get attached to their land and their builds, so another layer of management is helping people with the transition at the end of the project. What’s key for us all in that regard is that while Ethnographia Island won’t be around forever, the community that formed on the island will continue. Q- You and Donna are both publishing about the project. TB- We published one paper together so far, and we also work on individual publications. We come at this from different perspectives, so we sometimes write for shared and sometimes for different academic audiences. And of course, we did a lot of collaboration helping out with the documentary! 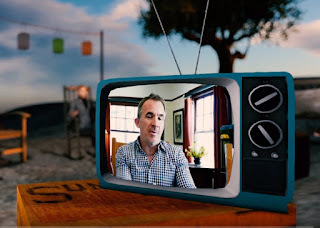 You can view Bernard Drax’s (Draxtor Depres) documentary, “Our Digital Selves: My Avatar is Me,” about the project on his YouTube channel Video is 1 hr. 15 min. long. Visit the NSF: National Science Foundation. Celebrate GDPR Day by Reading Emails!